If you’re feeling off, have aches and pains, or are recovering from an injury, osteopathic manipulation can help. At Health Atlast in West Los Angeles, the holistic medical team provides osteopathic manipulation to improve the way your entire body feels, increase strength and range of motion, and decrease chronic pain. Call to learn more, or book an appointment using the online scheduling tool. The osteopathic chiropractors at Health Atlast use whole body techniques to heal your entire body by addressing every issue that contributes to underlying medical conditions, pain, and discomfort. The best part about osteopathic manipulation is it’s entirely noninvasive and doesn’t involve expensive medications or surgeries to treat pain. What is osteopathic manipulation used for? Osteopathic manipulation alleviates unpleasant symptoms from menstrual pain, asthma, and sinus disorders as well. It helps you heal faster after surgery with less discomfort and better mobility. Are there additional benefits from osteopathic manipulation? Often, choosing osteopathic manipulation means you avoid expensive surgery or pain medications by allowing your body’s natural healing mechanisms to take over. Some pain medications have addictive properties, lead to unpleasant side effects, and are expensive. That’s one reason many patients prefer osteopathic manipulation over more invasive solutions. Am I a good candidate for osteopathic manipulation? Your provider lets you know if you’re a good candidate for osteopathic manipulation based on your symptoms and health history. Chances are osteopathic manipulation can help you. If you haven’t yet experienced this form of holistic treatment, give it a try. You’ll be surprised at how much better you’ll feel. 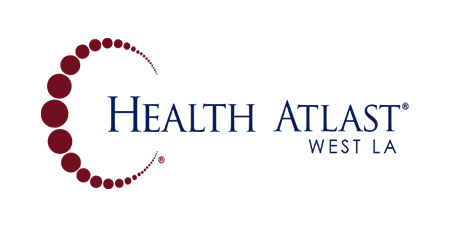 The medical team at Health Atlast have years of experience in holistic medicine and chiropractic care. When you’re ready to ease aches and pain the noninvasive, natural way to avoid expensive surgery and medication, call Health Atlast today or book an appointment using the online scheduling tool.